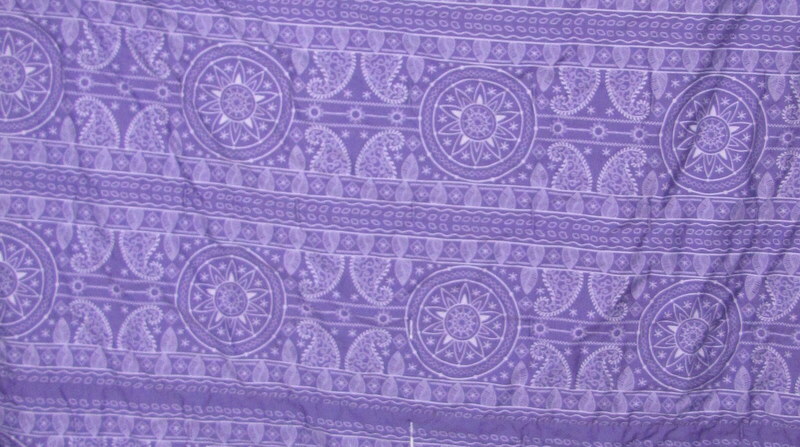 Other posts on this project: That’s a Lot of Purple, Purple Quilt Pt. 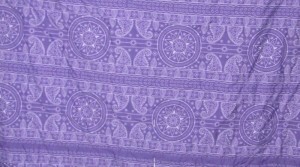 2, Purple Quilt Pt. 3. 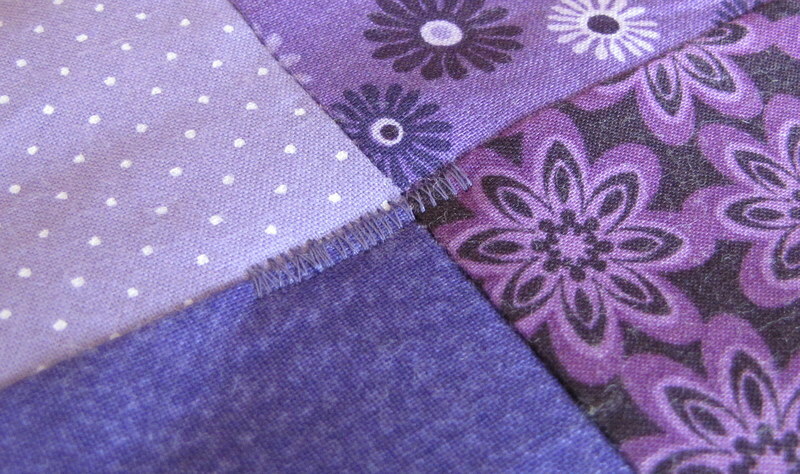 I’ve finished the Purple Quilt, and it’s been delivered to its new home. So now I can show pictures of it and explain why I made it. This quilt was a gift for a very dear friend of mine. She was 5 months pregnant, and 2 weeks ago she went into labor early and lost her baby girl. It’s a heartbreaking, nightmare situation for her…I can’t imagine it. It’s crushing, and I felt helpless. Like there’s nothing I can say to make it hurt any less. So…I made this quilt. Her favorite color has been purple since we were little kids, so I thought this was a small thing that I could do. 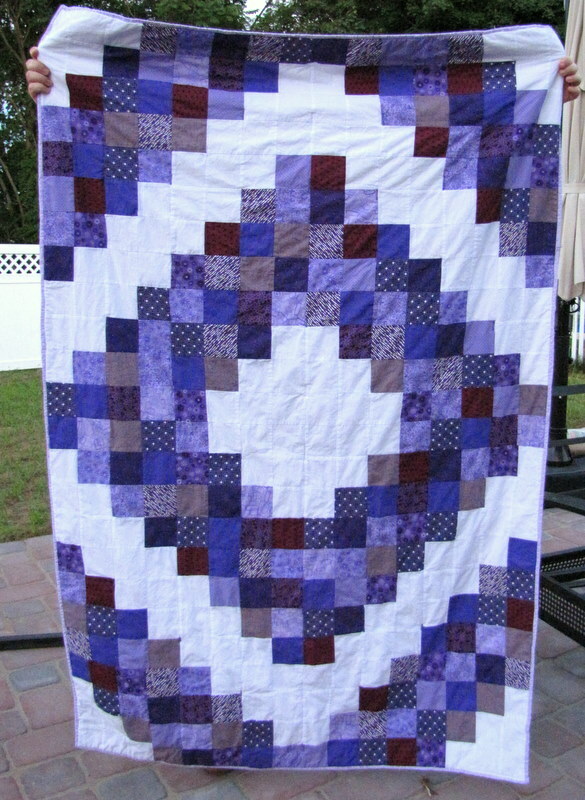 I quilted this like a tie quilt, just stitching zigzags every 2 squares, in purple or white thread depending on where they fell. Some of the zigzags are neater than this one, but I made this quilt in a week. So…it was made with a lot of love, and some technical errors. But I love it anyway. I thought a lot about stippling this quilt, but the stitches on the front would clash with the backing fabric, which I’m kind of obsessed with. It’s “Katmandu” by Mark Lipinski, from the Riverwoods Collection. I’d never heard of it, but I loved it. So I went with really simple quilting, which was actually Adam’s idea. I love this quilt, and I’m so happy I finished it and got it to its new home. She seemed really touched to get it, so that made me feel so glad I made her one (which may have been my completely brilliant mother’s idea). I also baked her dark chocolate cupcakes with purple vanilla buttercream frosting, and I will post the recipe for these later. 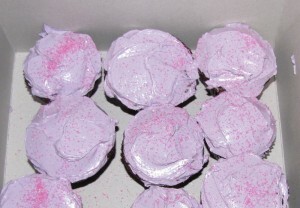 It’s the same recipe I used for the Pac Man Cupcakes, which I never posted. My friend asked for some homemade baked goods, and who can say “no” to that?